The short rains were due and what was left of the waterholes was crowded. 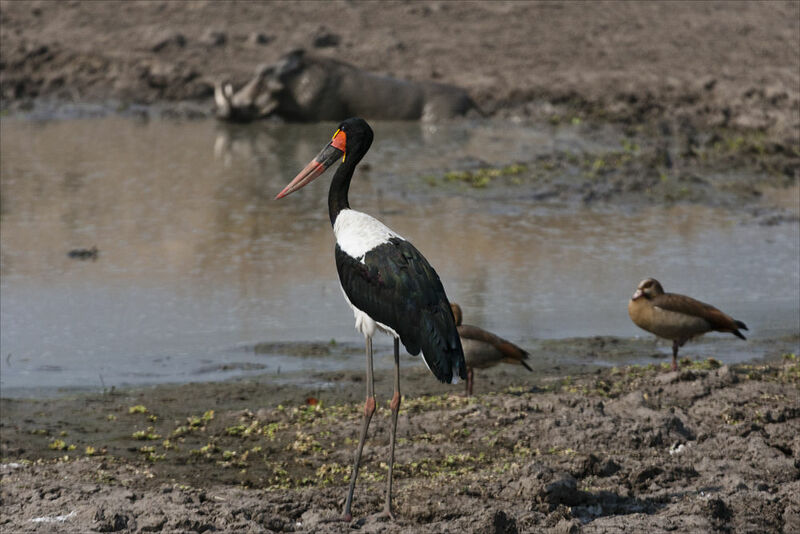 Saddlebill Storks searching for fish and frogs, Warthogs keeping cool, Egyptian Goose frolicking. A melee of activity !! Sth Luangwa Ntl Pk, Zambia, Africa.